William Hill bingo is one of the most popular bingo apps on the market for lots of reasons. Huge game choice, great bonuses and amazing game play. William Hill is a very respectable name in the gambling industry and they have been in business for a very long time. They have always had a bingo website and now, their mobile bingo app offers every bingo enthusiast a chance to enjoy the good old game whenever and wherever they want. The app grants access to numerous rooms offering a rich diversity of games, loyalty bonuses, big cash prizes and online chat rooms where players can forge lasting friendships with other bingo lovers. The app is compatible with mobiles and all Android and iOS-powered devices. It is free to download, is easy to use and offers one of the best mobile bingo experiences going. If you are new to William Hill bingo, great news! They normally have an exceptional new player welcome bonus just for new customers like you! It is super quick to join and you will be playing bingo in no time! 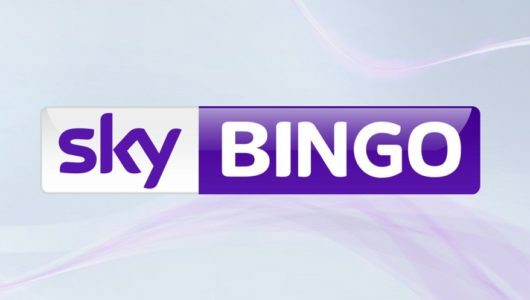 Head on over to www.williamhill.com/bingo to get your membership details and claim your bonus. All newbies to the site and app get treated like a real VIP with free bingo and special offers. Anyone looking to download and install the William Hill bingo app will find it a breeze. 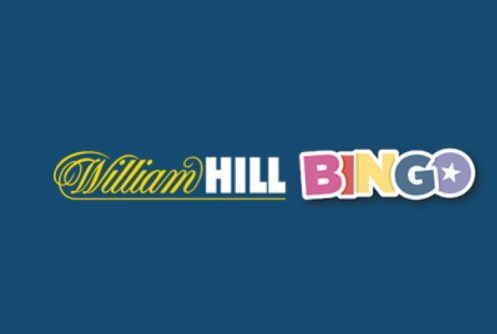 Customers downloading the app into their Android-powered devices will need to navigate to https://mobile.williamhill.com/bingo and while there sign up for your customer account. Once you have that, navigate to the home or the lobby, scroll to the bottom of the page and tap on the green ‘Download Android app’ icon to initiate the download process. You may need to modify the settings on your device to allow downloads from non-Play Store sources, this is done by ticking Allow Unknown sources from the security settings on your device. After the download process is over, slide down the top menu and tap on the WilliamHillMobileBingo.apk file just downloaded and tap on it to complete the installation process. Users that want to download the app to their iOS powered devices (iPhone/iPad/iPod) should first visit https://mobile.williamhill.com/bingo, join and create an account, then buy in with at least £10, collect the bonus. Once joined and signed in, you will be redirected and asked if you want to download the app from iTunes. If you click on yes, you will then be redirect the to the iTunes app Store where you can complete the download process as they would, any other iOS app. If a slick, easy to get to grips with bingo app is what you need, then this little beauty from William Hill bingo could be just the ticket for you. The app is identical on the mobile site, Android app and iOS app so you don’t need to think you aren’t playing on the best version. The app is set apart from it’s rivals by it’s brilliant blue colours that is characteristic of the famous bookie. This easy and likable characteristic is just a small portion of the good things the app offers. It is super easy to use and navigate around this app thanks to the simple design and useful menus. The first time you open the app, you will be asked to confirm your location by granting the app permission on your device. Don’t worry, this is normal and William Hill bingo just need to make sure you are in an area of the world they operate in (which is a lot!) Once you have done that, you can now start playing. Go to the lobby on the app and you get a colossal list of bingo games organised in to time order, with those happening soon at the top. William Hill bingo app for Android & iOS supports several versions of the game and these are all available including 90 ball, 80 ball, 75 ball and Speed Bingo. 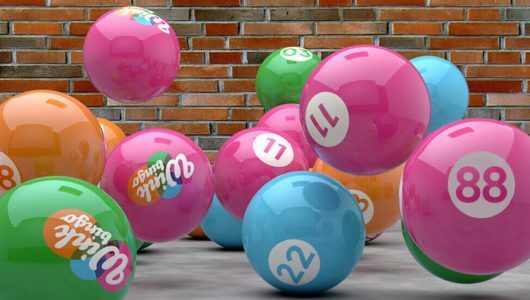 These are the more common forms of bingo you will be familiar with but there is also twists on the game like Roll on Bingo which gives you up to 20 times more chances to win, multi-stake bingo where you to choose your ticket price for a game. This means the higher ticket you choose, the higher the prize-pot can be. On top of this there is also private rooms available on the app like Star Club if you fancy playing away from the busy normal rooms. All of the games play great and I was particularly impressed with the speed in which the games are played. One of the great features on the app is that you can pre purchase tickets for any game, so if you know you aren’t going to be there to play, it’s not a problem as your ticket and numbers will be automatically played for you! There are over 20 fantastic rooms for you to play in and it’s easy to buy tickets and join. It doesn’t matter if you are a newbie to bingo or an experienced player, you will feel right at home on the bingo app from William Hill. The friendly and lively community are very helpful and you can chat all day to fellow players. There is something to suit all budgets too with many tickets priced at just a few pence and jackpots go in to the hundreds. In addition to bingo, the app has several mini-games that you can play. You can use these games on there own, or play them whilst playing your bingo tickets. Just click on the games tab at the bottom of the app during a bingo session. The app houses over 70 games with more being added all the time. There are popular games like Bouncy Balls, Fruity Burst, Magic Mouse and Amazon Wild. All games are real money games and you need a balance to play as they don’t support a play or demo mode. The games are a great way to pass some time and are really fun to play in between the bingo action. Players love using William Hill bingo on their mobile. Don’t just take our word for it, have a look on any of the reviews on the app stores and you will see customers agree with us too! It really is a great destination to play at. Just like downloading the app, playing tickets on the app is really simple too. You can only play with a funded account so make sure you 1. have an account and 2. have money in there. Once you have that, it’s plain sailing from here. Navigate to the lobby on the app by pressing the Play Bingo button in the top center of the app. Find your room from the long list. You can choose a room by looking at the ticket price, or by the prize amount. Select the room and here is where you can buy your tickets. Just select the number you would like, then press the buy now and the funds will be taken from your balance and you now have tickets to play. Because the game will auto daub and mark your card, you don’t even need to sit and wait for the game to play, unless you want to. I quite like watching the action unfold so I watch. When you get a line, you are notified by a pop up, this is the case if someone gets one before you too. Then it is just a matter of waiting for the game to unfold. William Hill bingo normally offer one of the more generous welcome bonuses and you can claim this online, mobile site or on the app. Like all operators, they run lots of different welcome packages and offers and these change quite regularly. For the latest, most up to date offer, we recommend checking on the website. This way we you get the most up to date information. William Hill also give you access to a newbie room which they call ‘the Arrivals Lounge’. This exclusive area is specifically intended to welcome novices and the bingo curious. 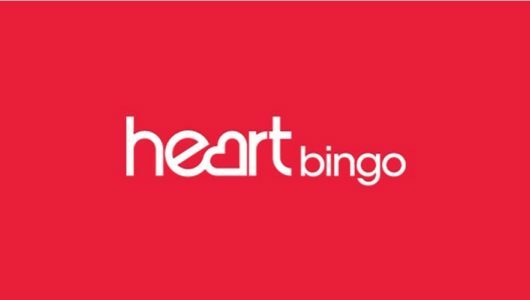 You also get 8 days of free bingo to get familiar with the set up and you will also have the opportunity to earn as much as £3,200! Attention to all new arrivals! Once you have created a chat name at William Hill Bingo, deposit and stake £10 on Bingo tickets, not only will you have received our £50 new player bonus, you will automatically gain entry to the Arrivals lounge. The Arrivals Lounge grants all new William Hill Bingo players Free Bingo games for 8 days, with a generous prize fund of over £3,200 to be won! When the room is misted over, this means form an orderly queue as the room is not yet open. When the mist lifts, the room is now open and you will be able to board to play in the room. The Summer of Fun has begun! Will 2 fat ladies lead you to a share of £2.4 million in guaranteed prize money? The special game schedule from 3rd July to 27th August means £300,000 is guaranteed to be won each week – £40,000 daily from Sunday to Thursday and whopping £50,000 on Fridays and Saturdays. Tickets will cost between just 1p and 20p, so head over to our Main Room between midday and midnight each day to get your hands on some. This is but a mere sample of the offers available, for all the latest offers, head on to the promotions tab on the app or mobile site. Due to the size and countries that are covered by William Hill, they have to offer one of the widest options for making deposits and withdrawals. Theses include Visa, MasterCard, Visa Electron, Maestro, PayPal, William Hill CASHDIRECT, Skrill, Ukash, Neteller, Poli, Fast Bank Transfer, Bank Transfer, Sporopay, cheque and a whole host of others. Deposits are made instantly to your account and withdrawals take from 48-72 hours which is one of the quicker in the business. One thing we do like with bingo at William Hill is that you can deposit from as low as £5, most normally set a deposit minimum of £10.